Backed by a 3-year workmanship warranty and a 1-year finish warranty. 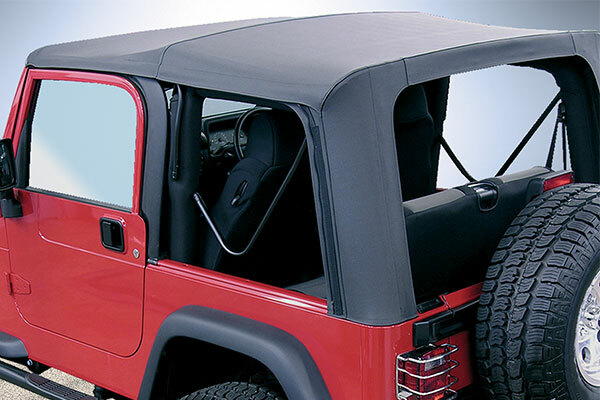 Get soft top protection that is built to last. 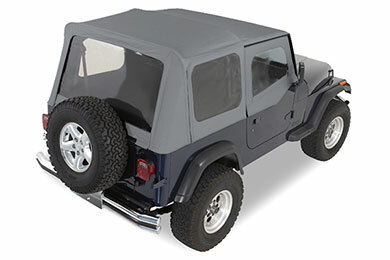 With the Rugged Ridge Jeep XHD Soft Top you get durable soft top protection that puts the competition to shame. The 30 mil thick DOT approved windows are 50% thicker than ones you will find on other tops and UV treated for ultimate clarity. So you get a dependable soft top that can stand-up to all of your adventures. 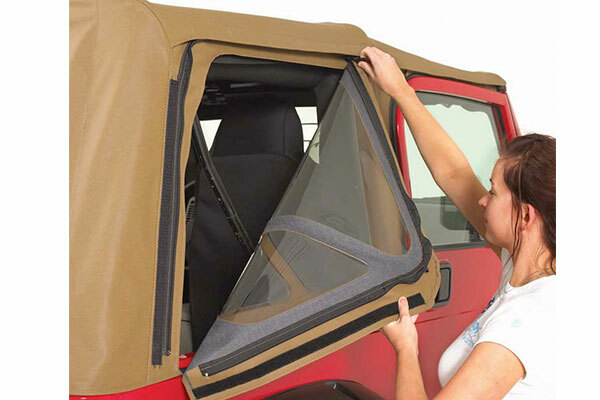 Rugged Ridge Jeep XHD Soft Tops feature reinforced stitching in heavy pull areas, sewn seams with marine-grade thread, and “welded shut" seams that use a durable heat seal tape to keep out moisture. 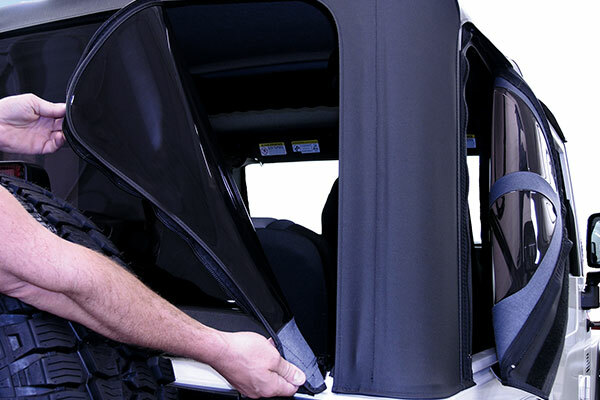 The zip-out windows are available with or without a 31% tint option (excludes door windows). 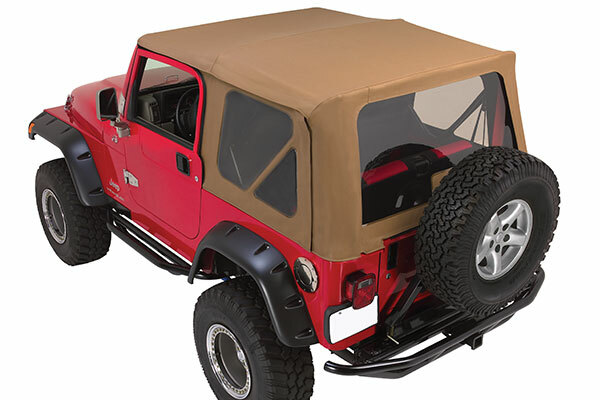 Using the factory original hardware and belt-rail system, your Rugged Ridge Jeep XHD Soft Top goes on quickly and easily. Even better, it's backed by a durable 3-year warranty. Great price and fit! I installed the XHD top on my 2004 Wrangler Unlimited and could not believe how well it fit, only thing bothered me was the glass is of a thinner gauge then the original but overall it's a great value and looks good!! I recommend this top to other Unlimited owners !! I order this top for my DH's 1998 tracker. He was able to easilt install it in less than an hour. We are pleased with how it looks and performs. Inspect your hardware well and ensure all pieces are in the proper place ie the knuckles. We could not get the back screw holes to reach the tabs but we made due without them. Looks Great! Don't waste your money. Save up and buy a decent top. This top is low quality and very poorly fitted. Poor quality can see daylight through the seams. Cheap!!!!! Reference # 763-253-008 © 2000-2019 AutoAnything, Inc.